There’s a new smartphone inspired by Formula One-inspired supercars, the OnePlus 6T McLaren Edition. 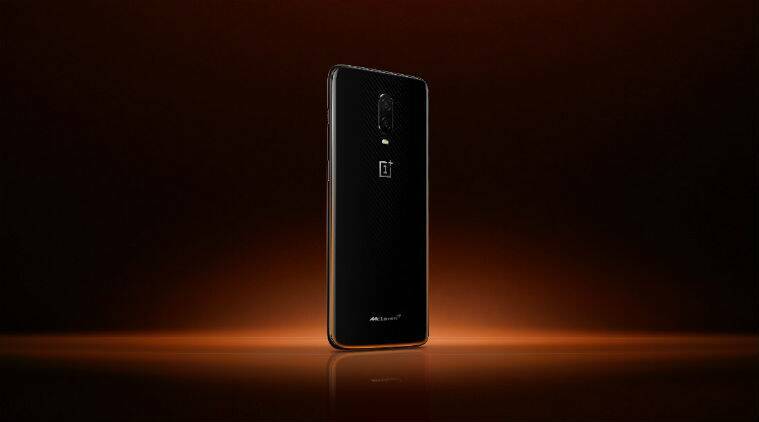 This is the first smartphone from a partnership between OnePlus and McLaren, the British manufacturer of the luxury car maker. Think the OnePlus 6T McLaren Edition as a supercharged version of the regular OnePlus 6T with 10GB RAM and a super-fast “Wrap Charge 30” adapter in the box. The OnePlus 6T McLaren Edition is similar to the regular OnePlus 6T, barring a few notable changes. How does the OnePlus 6T McLaren Edition stand up to the standard 6T? Let’s find out. OnePlus 6T McLaren Edition vs OnePlus 6T: What’s different? The OnePlus 6T McLaren Edition looks exactly the same as the regular model. The special edition model has the same dimensions as the standard OnePlus 6T, at 157.5 x 74.8 x 8.2mm and the same form factor. There are some visual differences, though. The OnePlus 6T McLaren Edition has a carbon-fiber-like pattern underneath the glass panel. Both McLaren and OnePlus logos (in silver) sit on the back of the device. Notably, an orange band running along with the phone’s bottom rear gives a distinctive feel to it. It’s colored in Papaya Orange, McLaren’s signature colour. If you’re a fan of McLaren, you will also like a carbon fiber cover inside the box, a Papaya Orange power cord, McLaren’s logo – the iconic Speedmark – recreated in McLaren-designed AA grade carbon fiber, and a book celebrating the history of two companies. OnePlus 6T McLaren Edition comes in one version, featuring 10GB RAM and 256GB of non-expandable storage. This is the first OnePlus-branded smartphone to come with 10GB RAM. In comparison, the regular OnePlus 6T comes in either 6 or 8GB RAM and 128 or 256GB storage. The beefed-up version of OnePlus 6T also comes with a new battery technology that allows the phone to get a full day’s of battery life in just 20 minutes. OnePlus is calling this as “Wrap Charge”. This is similar to Oppo’s Super VOOC and gives 30W charging; there’s a special charger that comes inside the retail box. OnePlus 6T McLaren Edition vs OnePlus 6T: What’s the same? Elsewhere, little has changed. You will still find a 6.41-inch AMOLED (2340×1080) display, the Snapdragon 845 processor, a 16MP primary camera with an f/1.7 aperture and optical image stabilization and a 20MP secondary camera with the same aperture, a 16MP selfie camera. The battery is still 3700mAh, the new McLaren edition also sports the in-display fingerprint sensor which is called ‘Screen Lock’, and it runs Android 9.0 based on OxygenOS 9. The OnePlus 6T McLaren Edition is expensive in comparison to the standard 6T, which starts at Rs 37,999 for the base version. In India, the special edition is priced at Rs 50,999 and will go on sale through Amazon, OnePlus’ online store and leading retail outlets starting December 15. In case you’re keen to grab the device first, OnePlus 6T McLaren Edition will also be made available exclusively starting December 13 at the new OnePlus Experience Store in Connaught Place, New Delhi. OnePlus 6T McLaren Edition is also coming to North America and Western Europe on December 13, with the price tag of $699 (or approx Rs 50,366) or 699 euros (or approx Rs 57,037).